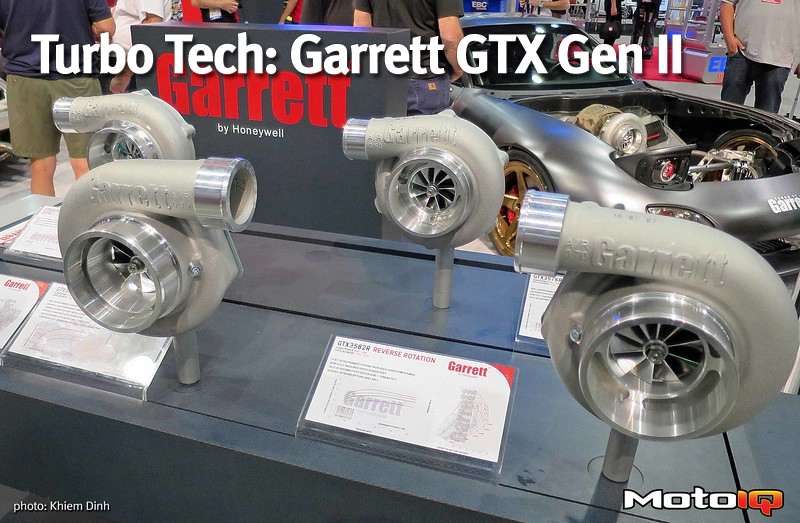 Honeywell Garrett launched the GTX series about a decade ago featuring a stronger billet compressor wheel which allowed updated compressor aerodynamics to increase power using the same sized turbo. This past year, Honeywell Garrett released the GTX Gen2 turbocharger lineup featuring an again improved compressor wheel design along with other updated turbocharger features. Follow along and we will teach you how to estimate the power a turbo can make along with turbine matching and show the difference between the GTX and GTX Gen 2 turbos. In this image, we overlaid the new GTX Gen2 GTX3582R 82mm compressor map with the older Gen1 map. The Gen2 update did something very difficult engineering wise; it increased both the maximum flow and also the map width. The new surge line on the left of the map is further to the left, giving the Gen2 compressor more usable flow range. 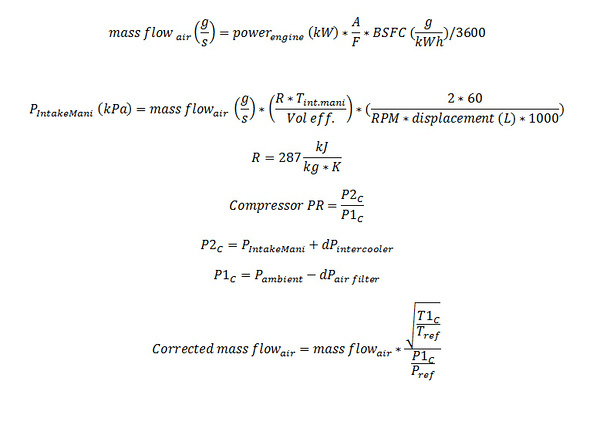 Step 1: calculate compressor mass flow and pressure ratio. We did this once before in our article on compressor mass flow. 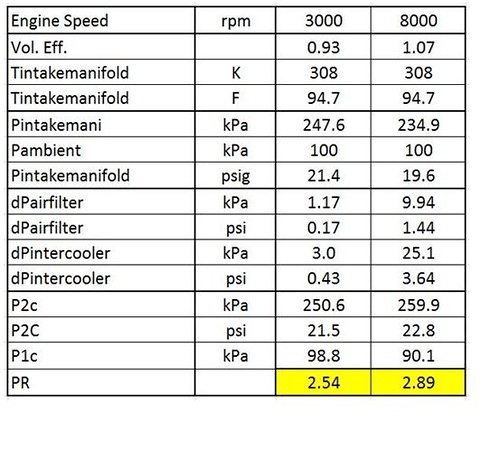 In the absence of real engine data, you’ll have to make assumptions for values such as BSFC, A/F ratio, and pressure drops of the air filter and intercooler. 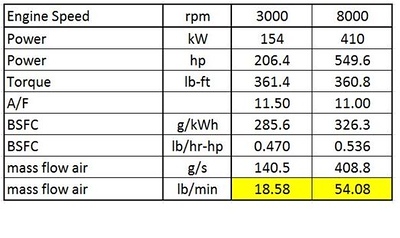 Here are my engine performance targets for my hypothetical turbo setup on Project S2000. 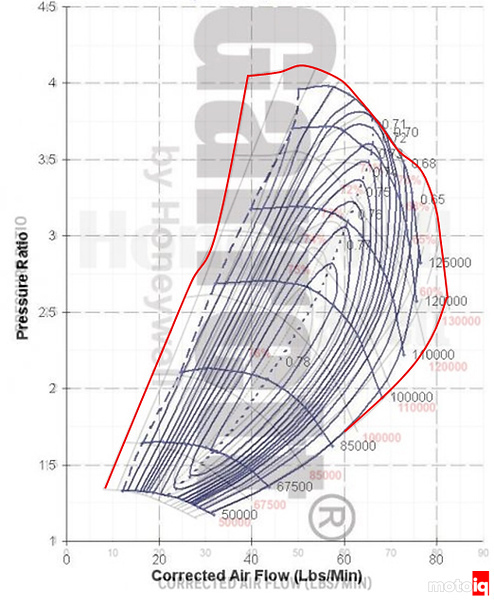 We estimated the values from existing dyno data and using a few adjustments to go from NA to forced induction. You can see how we did it by checking out the article on calculating compressor flow. We are targeting a bit more than double the torque and power of stock with a flat torque curve from 3000rpm to 8000rpm. After calculating the mass flows we will need to hit my torque and power targets, we calculated the required compressor pressure ratios so that we could plot the points on compressor maps.